Season one of the rebranded Roseanne minus Roseanne Barr comedy drew in 9.5 million viewers on average, upping the time slot year over year by 33% in total viewers. It also gave the network its highest ratings in the Tuesdays at 8pm ET/PT spot over any entry there in the past five years. Season one of The Conners starred John Goodman as Dan Conner, Laurie Metcalf as Jackie Harris, Sara Gilbert as Darlene Conner, Lecy Goranson as Becky Conner-Healy, Michael Fishman as D.J. 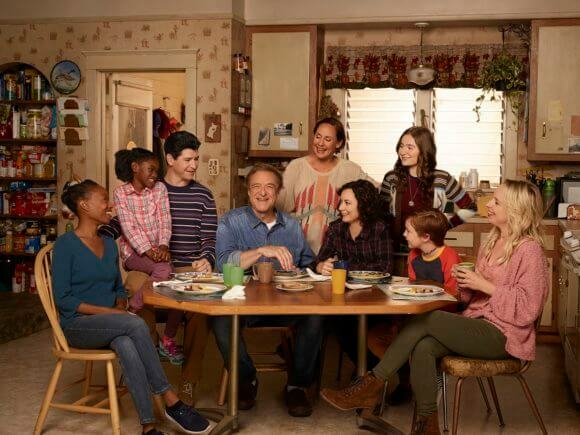 Conner, Emma Kenney as Harris Conner-Healy, Jayden Rey as Mary Conner, Maya Lynne Robinson as Geena Williams-Conner, and Ames McNamara as Mark Conner-Healy. Matthew Broderick, Juliette Lewis, Katey Sagal, Mary Steenburgen, Justin Long, Jay R. Ferguson and Sarah Chalke appeared in guest starring roles. Estelle Parsons as Beverly Harris, Natalie West as Crystal Anderson, and James Pickens Jr. as Chuck Mitchell also showed up in the first season. The Conners is executive produced by Tom Werner, Sara Gilbert, Bruce Helford, Dave Caplan, Bruce Rasmussen, and Tony Hernandez.